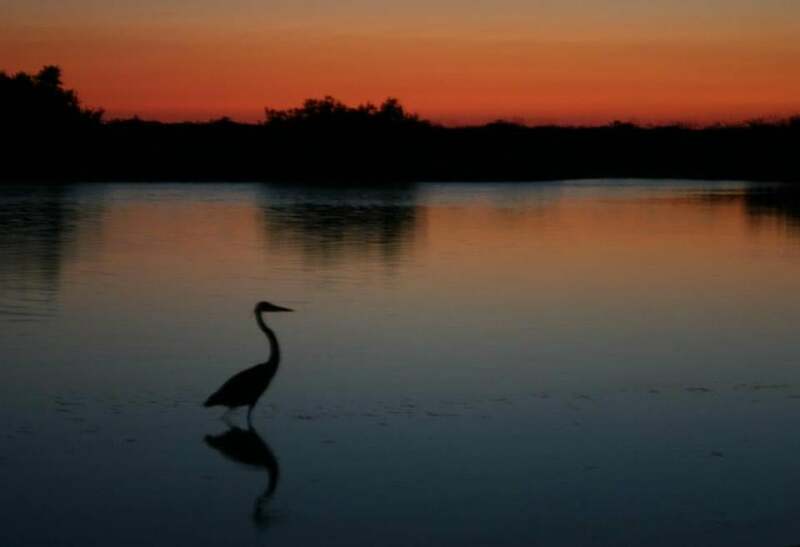 A heron at Florida’s Cayo Costa State Park, an uninhabited island reachable only by boat. Fast forward 500 years and people are still bashing the Sunshine State, many of whom have never stepped on its sandy soil or ventured beyond Disney World. I know because I’ve defended my onetime home state to a host of naysayers, including my neighbors in North Carolina, an editor I pitched Florida stories to, and even a stranger who overheard that I own a condo near Clearwater. Recently the object of my affection came up in a chat with an acquaintance in her 40s. She frowned and shook her head. She looked at me blankly. I’m betting she’s the type to dislike Las Vegas, too, but you don’t hear many people swearing off the entire state of Nevada. I don’t love Florida blindly. I’m the first to acknowledge its many negatives, some natural, like hurricanes, fire ants, and a near absence of seasons, and others preventable, including massive overdevelopment and destructive water manipulation in the Everglades. And let’s not even get started on election returns and loose gun laws. For me, Florida has been more of an acquired taste developed over the decades. Our relationship started when my family moved from North Carolina to the Tampa Bay area for my dad’s job in 1974, just as I was about to go into my senior year of high school. People always ask if the ill-timed transfer was traumatic. Only if going to the beach after school every day is your idea of trauma. (Yes, my skin is now paying the price.) But Florida and I had a falling out during my 20s, when I craved culture, progressive politics, and live music (at the time, bands rarely ventured beyond Atlanta). After I moved to Boston in 1988, and then later back to North Carolina, I started to visit Florida as a tourist. My mom and I would go on little outings, some nearby, like the Suncoast Seabird Sanctuary to view injured pelicans, or two hours north to Silver Springs to tour the clear, spring-fed river on a glass-bottom boat. Experiencing Florida’s natural side — something many visitors don’t realize even exists — changed my outlook. Since then, I’ve snorkeled the coral reef at Biscayne National Park, kayaked with manatees in the Crystal River, bicycled through the Withlacoochee State Forest, and camped on uninhabited Cayo Costa State Park, an island reachable only by boat. I’ll never see the magic Ponce de Leon did, but I think I’ve come close. Five years ago, when my mother was still alive, my partner and I bought a tiny condo a block from the Gulf of Mexico at Indian Rocks Beach, a little city of 4,100 residents and only one high-rise (it slipped through in the ’70s). When we visit, a few times a year, we take our kayaks out on the Intracoastal Waterway, where we see dolphins, herons, egrets, and pelicans. We ride our bikes along the nearby 34-mile car-free Pinellas Trail through historic small towns. We visit the Salvador Dalí Museum and walk along the gorgeous St. Petersburg waterfront. Now, at 55, I’m scheming how I can eventually become one of the silver-haired snowbirds I once mocked. But it’s not just older folks like me falling under Florida’s spell. I’ve recently noticed an impressive wave of younger residents working hard to preserve and promote the state’s heritage and natural resources. So I’d like to raise a glass of fresh-squeezed orange juice to Ponce de Leon and the state that so many love to hate. Happy anniversary, Florida, and I’ll see you in the spring.